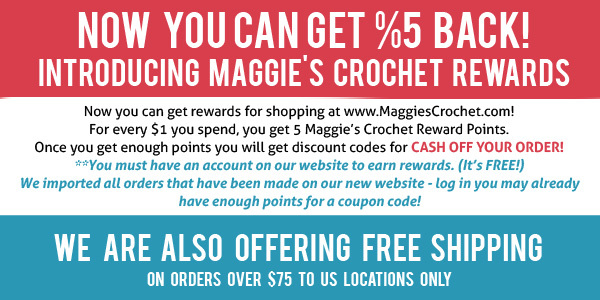 Home » Crochet • Crochet Hats • Crochet Home Decor • Crochet Patterns • Maggie Weldon • Maggies Crochet • News » What’s New at Maggie’s Crochet? 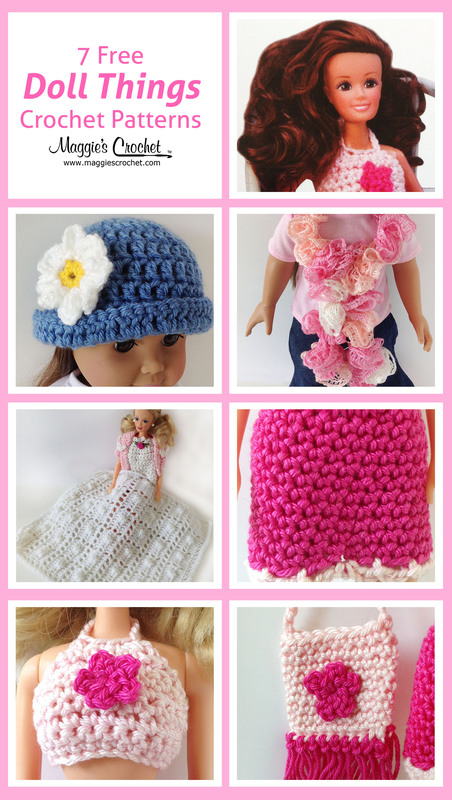 2014 has been a busy year so far for Maggie’s Crochet! We’ve survived multiple snowstorms, quite unusual for our part of the country here in North Carolina. We even had a couple of “snow days”! In spite of the weather, Maggie’s creative side has been working overtime. Did you know that we have released 11 new pattern sets so far this year? That’s one new pattern every week. In case you may have missed some of our new patterns, here’s a quick introduction to what we’ve been up to so far. First of all, let’s look at our new Afghans and Afghan Sets. 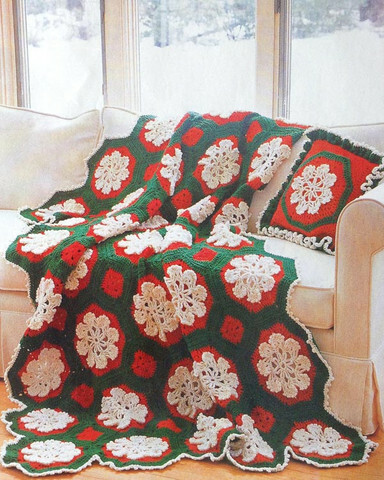 Merry, Merry Bright Afghan and Pillow Set, pattern available here, was named by our fan, Elizabeth Rambeck. 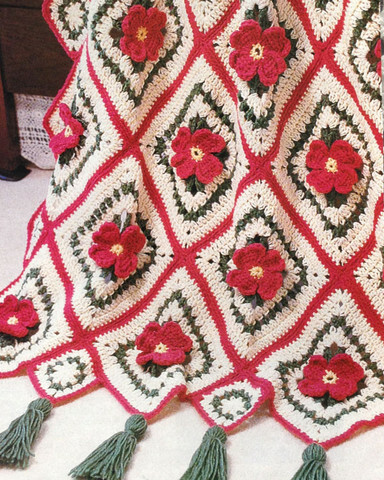 This afghan is made up of octagon motifs in the shape of snowflakes. Despite the flurry of snowflakes outside, you are sure to stay warm and cuddly under this afghan with the matching pillow. Both the afghan and the pillow are crocheted using worsted weight yarn and Intermediate crochet stitches. The finished afghan is approximately 54″ wide by 75″ long. 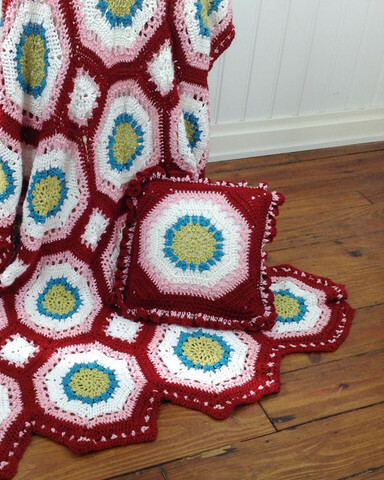 Hippie Chic Afghan and Pillow Set, pattern available here, is another octagon motif afghan and was also named by one of our Facebook fans, Mabelline Rose Baker. 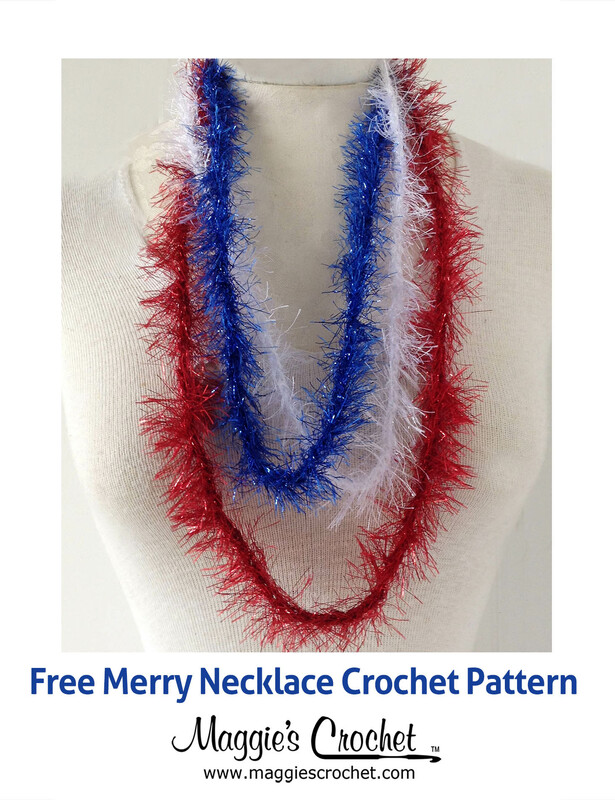 This pattern is very reminiscent of some of the hippie crochet items from the 1970’s, with its retro colors and octagonal motif pattern. Do you remember the crocheted vests and ponchos that were so popular back then? Hippie Chic would fit right in! This set is crocheted in worsted weight yarn using an I-9 crochet hook. The ripple stitch is a crochet standard. 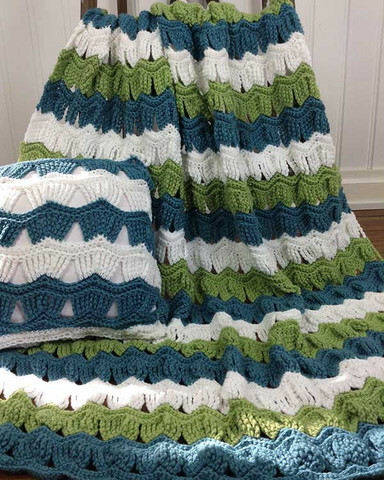 Stitch this beautiful Victorian Ripple Afghan & Pillow Set, pattern available here, for yourself or for a loved one using your favorite Worsted Weight Yarns and G-6 Crochet hook. The color options are endless and no matter what colors you choose, this is sure to be a favorite. We are so ready for spring. The daffodils and Bradford pear trees are blooming right now, so this is the perfect time for Apple Blossom Afghan, pattern available here. The beautiful apple blossoms on this afghan will help you welcome spring into your home. The pattern is crocheted using Worsted Weight Yarn and an I-9 crochet hook. All of our new afghan patterns are crocheted in worsted weight yarn. One of our favorites is Deborah Norville Everyday®. Everyday comes in solids, neons and multi-colors. If you can imagine a color scheme, you can create it with Everyday. It is spun with a unique anti-pilling agent, and is oh-so-soft. You will love it! Next in our line-up of new patterns is fashion. This winter we introduced two new winter fashion sets and both have quickly become customer favorites. The first set is Vintage Ripple Set, available here. This fashionable crochet pattern set includes instructions for the hat, scarf, cowl, and fingerless mittens. 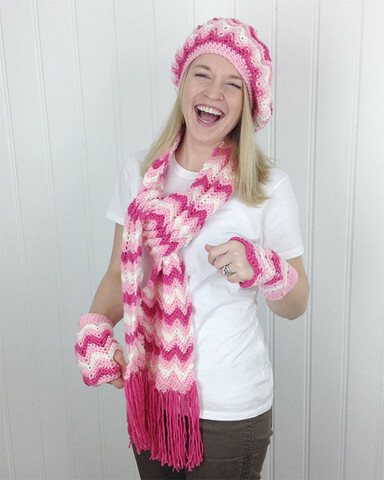 Using your favorite worsted weight yarn, you will be able to stitch this up in no time. Get ready to rock that ripple! 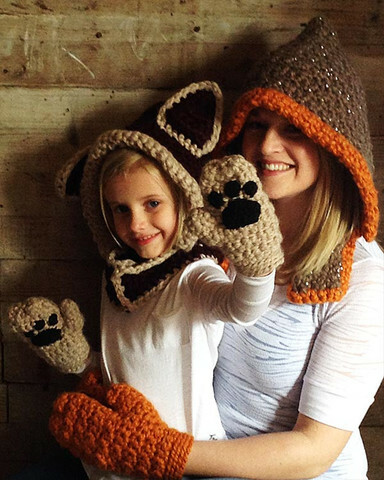 The newest fashion pattern is the Foxy Lady Sets, pattern available here. The Foxy Lady Set Crochet Set is the perfect set for looking cute in the cold winter months. Our crochet pattern includes instructions for toddler, child and adult sizes using both Super Bulky Weight Yarn and Worsted Weight Yarn. Fashion is also a must for dolls like the American Girl or any other 18″ doll. 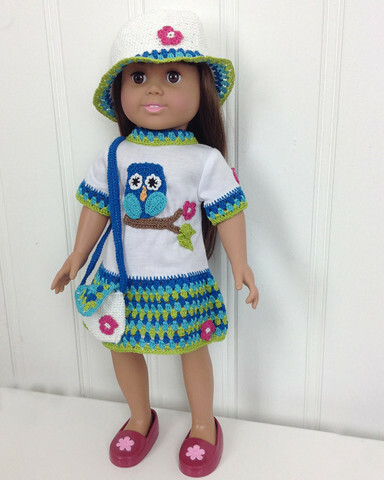 Our newest pattern is the 18″ Doll Owl T-Shirt Dress, Hat and Purse Crochet Pattern, available here. Owls are everywhere right now, in fashion, jewelry and home decor. Your little girl’s doll will be right in style with this outfit. AND, your little girl can also strut her owl fashion in the matching T-Shirt Dress Ensemble, available here. Speaking of owls, how about decorating your kitchen in owls? Whooooooo says owls don’t belong in the kitchen? 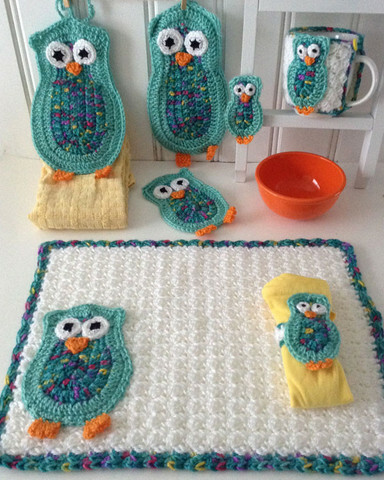 Crochet this Owl Kitchen Set, pattern available here, using worsted weight yarn for yourself or your favorite owl lover! 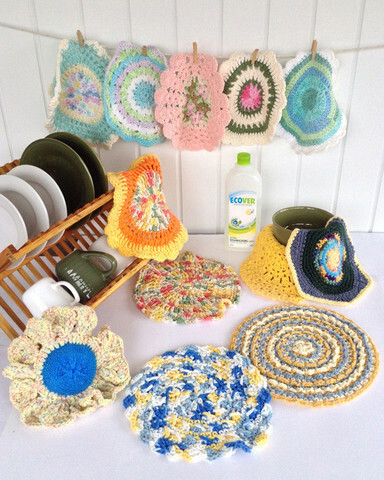 This set includes patterns for a place mat, coaster, mug hug, napkin ring, and fridge magnet. 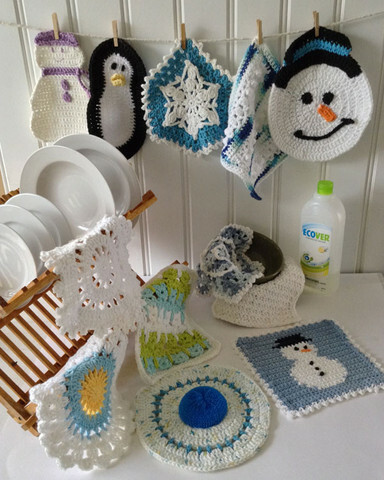 Crocheted dishcloths are decorative as well as functional. Also, kitchen dishcloths are great crochet projects because they are quickly completed and can be a fun way to introduce and learn new crochet stitches. We have two new kitchen dishcloth sets, the Winter Dishcloth Set, available here, and Dishcloths in the Round, available here. There are twelve dishcloth patterns in each set, giving you plenty of variety. Kitchen dishcloths are crocheted using worsted weight cotton. You might like to try a yarn like Home Cotton. Click the photo for Winter Dishcloth Set pattern. Last in our list of new patterns from Maggie’s Crochet, but certainly not least, is the Keepsake Lace Potpourri Box Set, available here. 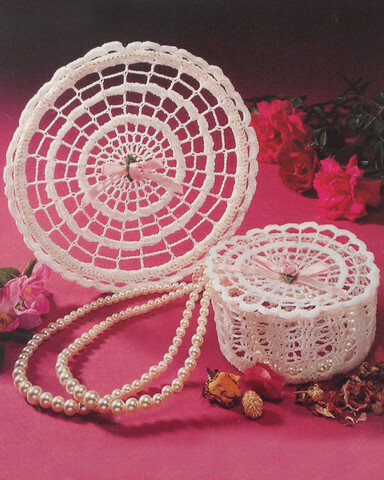 This pattern set contains five patterns for potpourri boxes: Square Peach Rose Lace, Peach Rosette Lace, Little Rose Lace, Round Blue Blossom Lace, Pale Pink Heart Lace. As a bonus it contains a pattern for the Little Rosebuds Lace sun catcher. These dainty, lacy boxes vary in size and shape and are perfect for any home decor. This set is perfect for making the home look and smell beautiful! So, that’s what we’ve been up to here at Maggie’s. What crochet projects have kept you busy this winter? Leave us a comment, we’d love to know what you’ve been working on. As to what we’re working on now…..STAY TUNED! 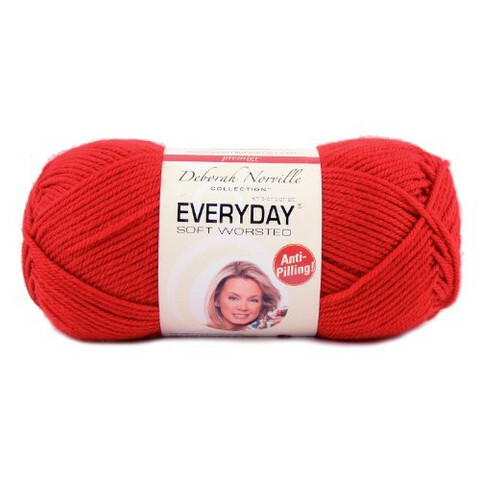 We will be releasing a new pattern every Monday. Not only has Maggie been busy with her new patterns, she has also been making video tutorials that include links to free patterns. 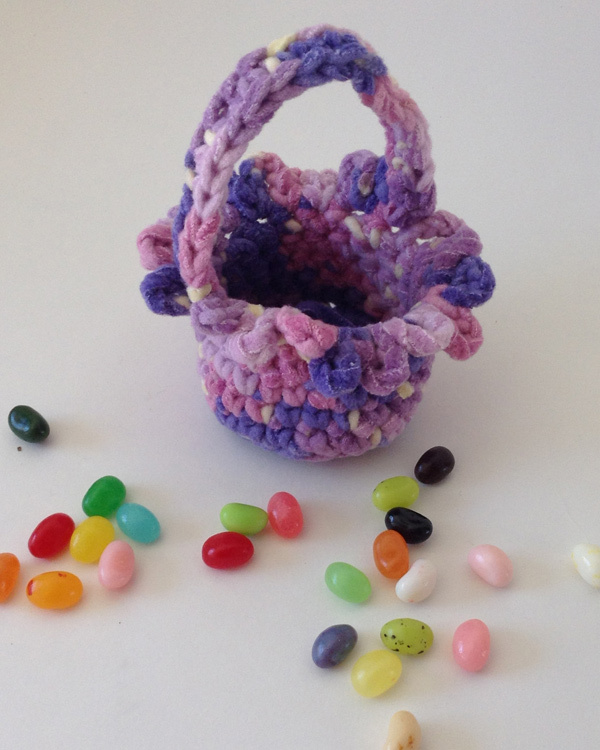 Her latest creation is this adorable little Easter basket, perfect for serving up jelly beans or other small candies. Click on the photo for more information and video instruction on how to make this cute mini Easter basket. Here’s some other big news!